Is not a traditional Bloody Mary... A good destination to experience the Bloody Martini is the Sonique Bar, under a sky of neon, listening to good music and bartenders that never disappoint their customers. Get there at 11pm and order the drink that takes lemon vodka, tomato juice with wasabi [unique flavor] and delivered in a martini glass with a thin rim of celery salt. Great for drinking accompanied by rice cakes with mushroom. 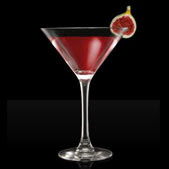 After this warm up have a try on the Dry Martini prepared by the bartender Ricardo Bassetto. When: From Tuesday to Saturday. How much: For free on Tuesday and from Wednesday to Saturday, according with the program.